Size: approx 5 - 6 in. Notes: This was the closest identification I could find. Also a nectar sipper and pollinator. I love the banded legs and cryptic pattern on the head. 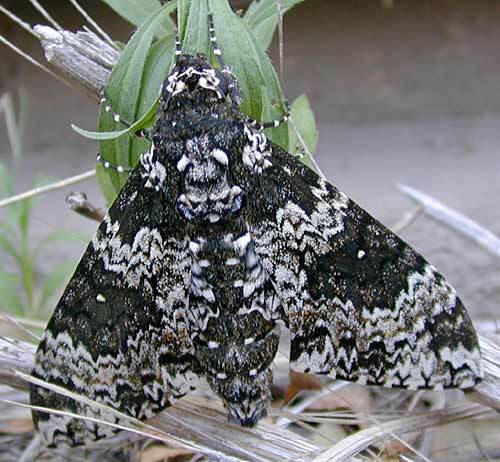 Rustic sphinx (Manduca rustica) entry in the Moths of North America website.